At the end of the year it is always fantastic to enjoy a concert that revitalizes your soul and prepares you for the celebrations. 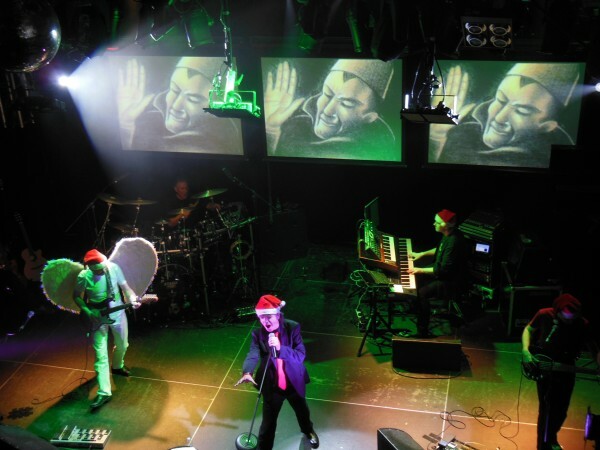 So, it was great to see IQ performing the Xmas Gig 2014 in London once more. Last time it was nine years ago, in 2005. Now for the first time we are spending Xmas and New Year in the Northern Hemisphere, far from summertime in Chile. After the release of IQ brand new album The Road of Bones we patiently waited for the right time to travel and attend to any of IQ gigs in 2014. 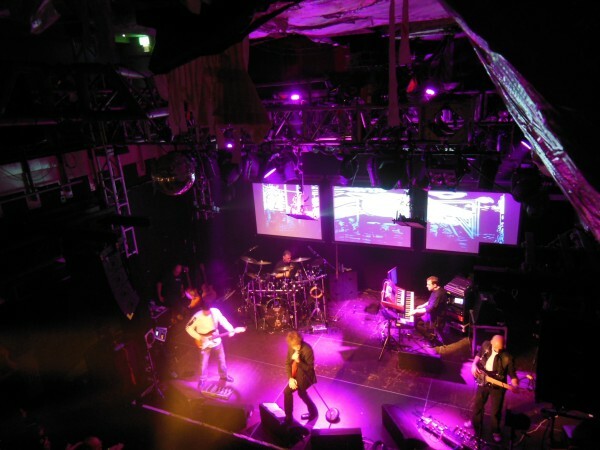 This was the first time we came to the O2 Academy in Islington, located close to Angel Tube Station nearby a shopping centre. The venue was almost packed when we arrived, an hour before the concert to start, however we had the time to buy the new vinyls (Ever and The Road of Bones), double CD, t-shirt and winter hat with a yellow new IQ logo. Fortunately Rosa discovered the stairs to go up the second floor and then we could take a nice place and good beer there. At 7:45 pm lights turned off to start up the Xmas opening mix. IQ musicians Mike Holmes (guitar), Tim Esau (bass), Neil Durant (keyboards) and Paul Cook (drums) entered to the stage and perfectly combined the end of the mix to begin playing the classic Awake and Nervous. Finally vocalist Peter Nicholls, wearing an elegant black suit with a red tie, appeared on the stage under the big applause of the audience. IQ immediately followed with The Darkest Hour, the opening track of the Ever album. The band was on top form and superbly played all the tracks of The Road of Bones, on the same order but inserting some other tracks like Frequency and Leap of Faith in between. Certainly the new album has a darker flavour but when performed live the brilliant and powerful music plus their great lyrics are enhanced and shine. What an excellent album it is indeed! The main set closed with two excellent songs: The Wake and The Seventh House. 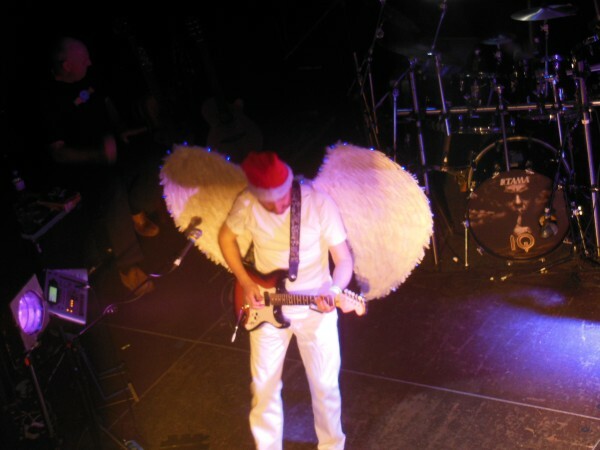 For the encores, IQ musicians returned to the stage wearing red Xmas hats and Mike changed like a white angel, including a pair of big white wing. IQ then played Ten Million Demons, included in the bonus CD of The Road of Bones double album, and a perfect rendition of the classic Widow’s Peak that finally closed this great concert at 22:10. On the way out of the venue we said hello and congratulated Rob and Laurence for the extraordinary sound and lights respectively. It was also very nice to see our friends David and Mel in the audience. 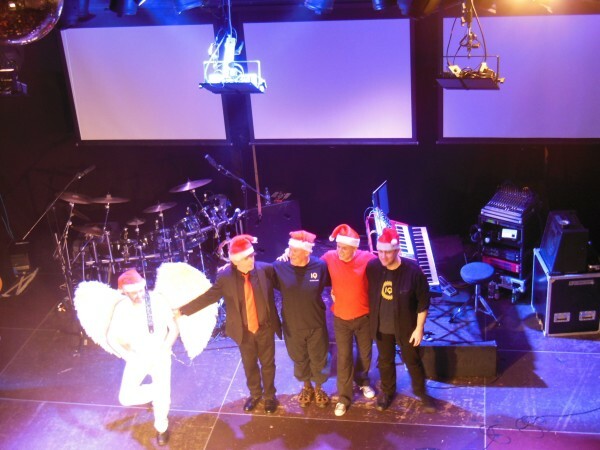 We remembered our time together with IQ at Baja Prog 2004 in Mexicali, ten years ago. Like good wine, IQ is a band that improves with age. 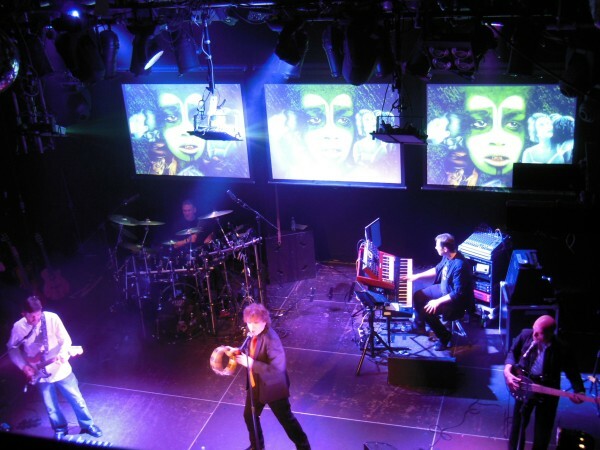 IQ live gigs are always innovative, full of good humour and brilliant songs superbly played by clever and talented musicians.